Now don’t get us wrong both John and I love, love the Dynasty Warriors (DW) and Romance of the Three Kingdoms (RotTK) games. Even Bart has at least played DW and in all likelihood has heard of RotTK. Most average ’rounded’ gamers can say they have played one or the other or both. Some how DW is just a joke to many, many, many people. 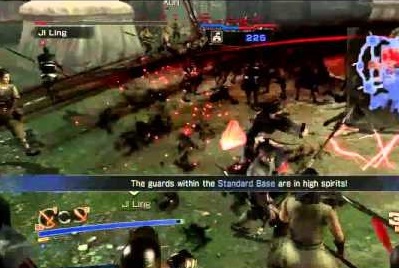 A rumor has existed that it is such a joke that the North American gaming industry (dependent upon game company) may make their interns play all of the previous Dynasty Warriors Titles to see if they will crack… True or not that is both horrible and hilarious! Whatever your experience dealing with the DW or RotTK Games has been they mix action, strategy and history in a manner that can be heavily entertaining or… for a person who doesn’t like strategy and history it can be very, very boring… Now we know that you all want to stand up with your hands in the air jumping around like ‘you just don’t care’ and are some kind of mentally lost man/womanchild. Such as every action-adventure game, most sequel games or even every side scroller ever…? Where you use the same buttons to attack over and over… against bad guys that are little more than palette swapped enemies. You all aren’t here to read about that history lesson (Har har har… see what we did there….) You want to read our perceptions… our WTFs and observations on the DW and RotTK Series. 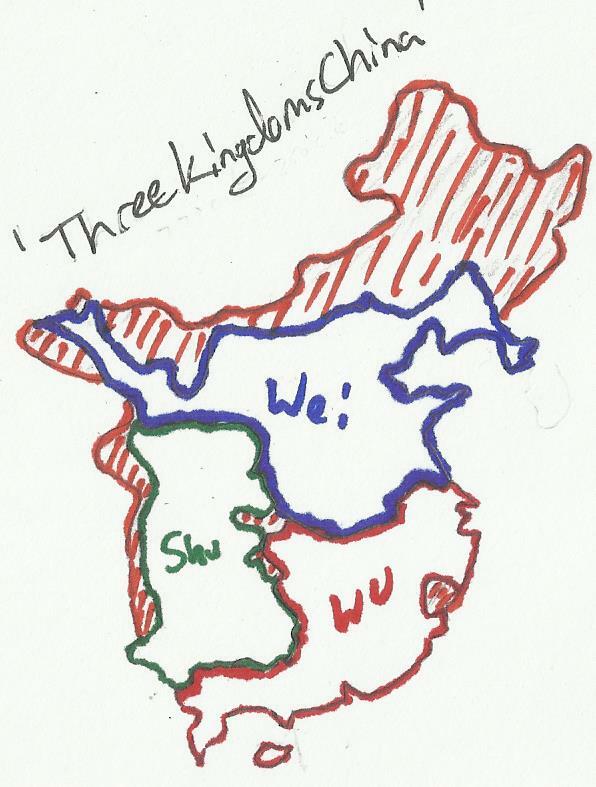 Liu Bei, Lord of Shu: Blah blah blah blah benevolence… blah benevolence blah? Zhuge Liang, Prime Minister of Shu: Blah blah blah blah benevolence. Liu Bei: *nods his head* Benevolence. Guan Yu & Zhang Fei: RAGE BENEVOLENCE!!! 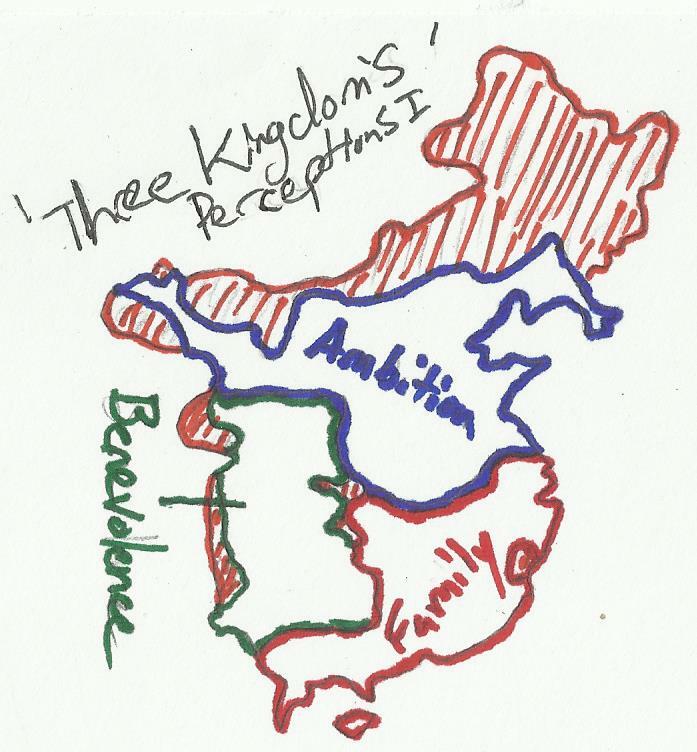 Cao Cao, Lord of Wei: My ambition is to create a land that’s under me to end this chaos…. 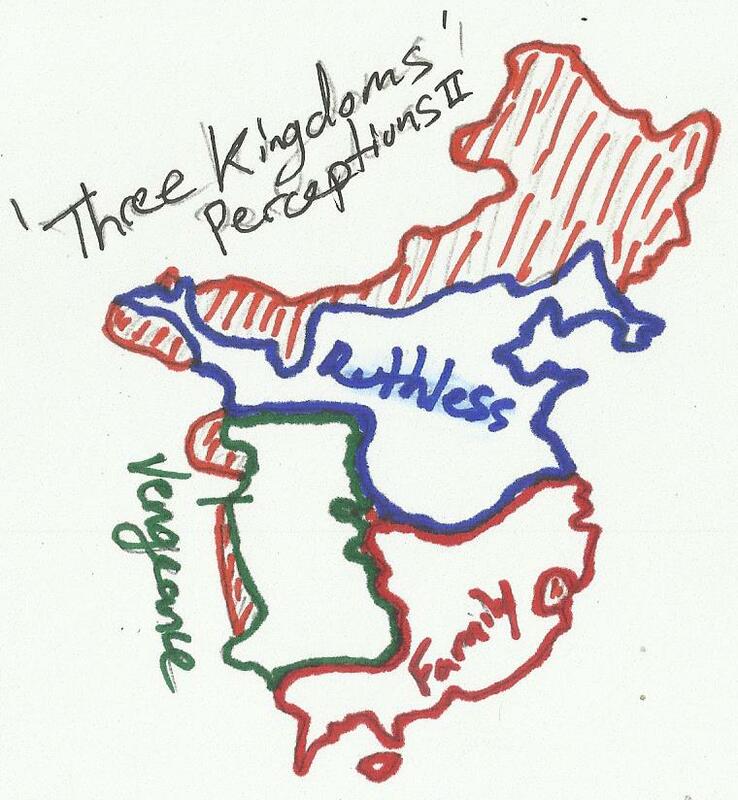 Xiahou Dun: Cousin, what will unifying the land help us accomplish? Cao Cao: It will help me fulfill my ambition, I must see my ambition completed before I die. Cao Cao: Certainly… to defeat this chaos and end the violence we must make my ambition come true. Sun Ce, New Lord of Wu: FATHHHHERRRR NOOOOOO!!! Everyone: Sun Ce you must be strong for your land…. Sun Quan: Father…. Brother…. my family… I’m not worthy, I can’t do this alone. Well yes, but no… as these officers never become anything they were “no names” (despite having names clearly they just had a generic officer model in the games), and in history they were just lightly spoken off solely because they turned traitor and killed the mighty general Zhang Fei. Soon as you get that message and if you are on the other side of most maps and you dont have red hare… your fu*ked… its essentially GAME OVER and it happens quite often if they get trapped by enemies or caught by enemies. And when your not near your leading general, and generally you never are they have an enemy officer or even some units of regular soldiers he/she is just sitting by and letting the enemies just take pot shots that whittle their health with impressive speed. Great! The guards within the STANDARD BASE are in High Spirits! 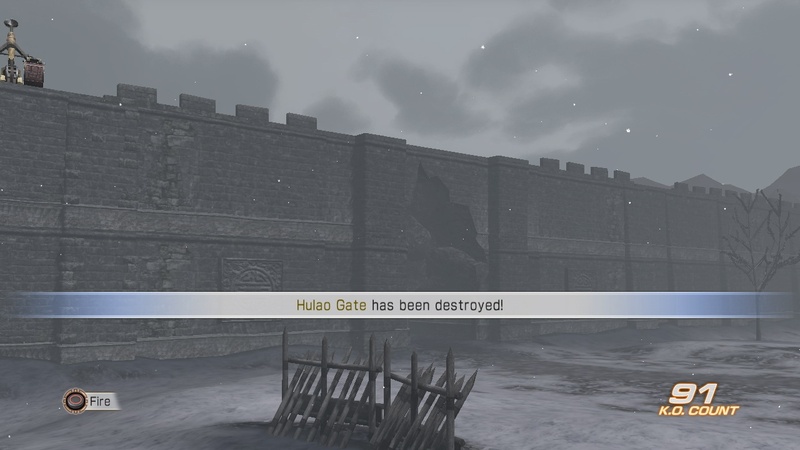 Hulao Gate Has been destroyed! While this is pretty self explanatory some of the create-a-character models that you could create were severely awkward or just there’s no way a person could be that big or wear that much or that little armor. Though that’s a major theme/problem with a lot of Create-A-Characters for a lot of games. 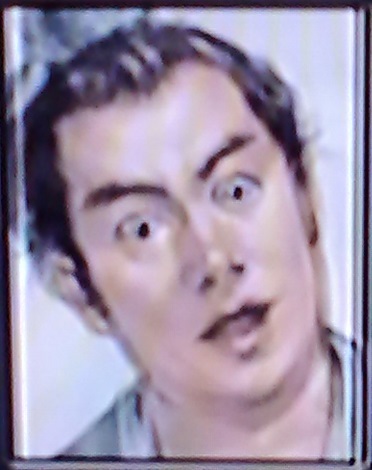 But no one is ready for this Create-An-Officer Portrait in Romance of the Three Kingdoms 7 for the PS2…. Now in DW you expected soldiers and they were certainly there, and this is where DW gets a lot flak. The games the same when it comes to the soldiers especially now in the later part of the ongoing series. In the earlier games they had ranks, weapons, skills, even different armor per region. But now the soldiers are all ‘soldiers’ they dont have ranks or anything that differs them and they dont have as many weapons for the most part they have swords/spears/swords & shields/bows. But wait what about Cavalry!? Well now the cavalry units, the horses die when you kill the rider so instead of having like say maybe 10 horses standing around they aren’t there. Now they streamlined it down to be able to up grade their graphics and the engine itself. The earlier games were bad compared to the new iterations but what was never properly explained was the officers in the former games. When you fought them in say DW3 and defeated them they would run off in the same manner and say something generic. If when you ‘kill’ soldiers they hit the ground and disappear… and are considered knocked out (which everyone we ever knew considered them to be killed) then why do the officers get up and run off in a cut scene? Again DW early on when the officers died they just never showed up again… then again sometimes they kept showing up like when you already knew historically Cao Cao had died yet he was at the Wu Zhang Plains…? Yeah. Reader has defeated Game Perceptions I! 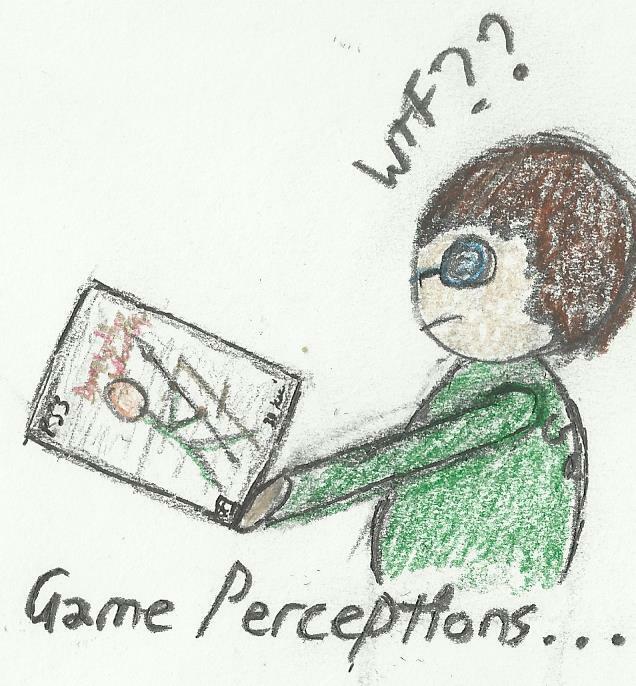 Game Perceptions: I shall return! Remember that! For yours is the first head I shall seek!